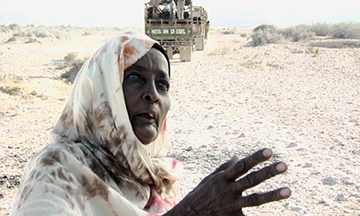 Film lovers all over the world will have a chance to see the dramatic story of environmental and cultural conflict in Somalia. CHARCOAL TRAFFIC has been entered in film festivals on all continents. • Raindance International Film Festival, 1-12 October 2008 London, UK. • Short Film Official Competition of the Festival International du Film d'Environnement November 19-25 2008, Paris France. • 24th International Short Film Festival Interfilm, Nov 4 – 9, 2008, Berlin, Germany. When a film festival comes to your city or town, try to attend and support alternative filmmakers! THANKS! Below are some comments about some of the screenings. Logos of the various film festivals are also displayed. CHARCOAL TRAFFIC, has been selected for presentation in the official line-up of the 14th Annual Palm Springs International Festival of Short Films (August 21-27, 2008),California, USA, as well as a featured film in the Festival’s Short Film Market. 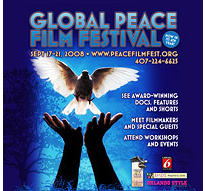 Visit www.psfilmfest.org for more information. Charcoal Traffic in the Short Film Official Competition of the Festival International du Film d'Environnement 2008, which will take place in November 2008 (19 until 25) at the Cinema La Pagode in Paris . 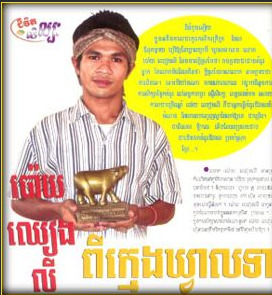 The organizers commented that they were touched and deeply interested by [the] strong film. 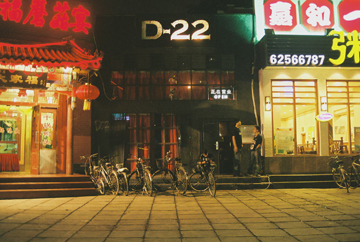 CHARCOAL TRAFFIC is an official selection of the New Beijing International Film Week, June 1-8, 2008. Over 40 films will be screened from Australia, Bulgaria, Canada, China, England, France, Japan, Korea, Portugal, Somalia, Sweden, Switzerland and the USA. Either through language or subtitles, all movies will be accessible to Chinese and English speakers. Visit www.beijingfilmfest.org for more information. Q. Why don't people cook with gas or electricity if charcoal causes so many problems? A. There is no gas or electricity available in most of Somalia, even towns. Q. Do people really live in small huts? A. Yes, many people are nomadic pastoralists who must move with their flocks. Q. Do people really carry machine guns in Somalia? A. Unfortunately many do because of ongoing lawlessness due to civil war since 1992. Q. Did goats really live in the area where the film was shot, there seemed to be no grass only sand? A. Yes, goats are able to survive even where there is very little pasture. Q. The acting was of high standard. Were the actors professionals? A. None of the actors had had any previous acting experience. They were friends or staff members who worked with us in our solar cooking project. The Beijing screening of CHARCOAL TRAFFIC gave co-producer James Lindsay an opportunity to explain the situation in Somalia and the work of Sun Fire Cooking distributing solar cookers as an alternative to charcoal. 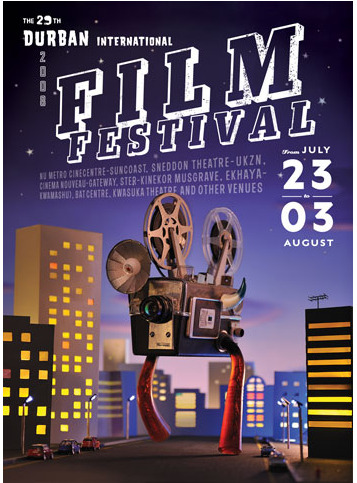 GtB is having a Green Film Festival. 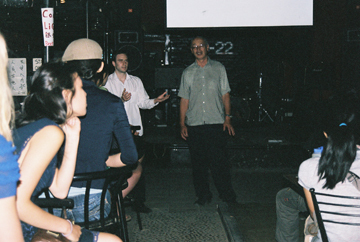 Tuesday, July 8, 8 pm, Beijing Green Drinks @ Stoneboat (Ritan Park) - this will be a GtB preview/warm-up event. CHARCOAL TRAFFIC is pleased to be selected for the SHOOT ME Film Festival. Want to know what people are really into? To get to know striking subcultures, human obsessions and political and social realities? The Shoot Me Film Festival in The Hague shows the world from a realistic perspective. Every year the SHOOT ME film festival presents original stories, told through the images of original filmmakers. Visit www.shoot-me.nl for more information. HOT SUN FILMS is pleased to announce that the short drama CHARCOAL TRAFFIC will be shown at the Leith International Film Festival in Edinburgh Scotland! 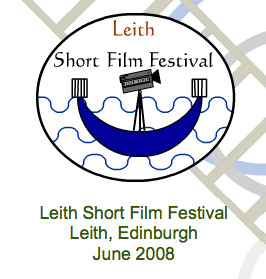 Visit http://www.leithshortfilmfestival.co.uk for more information. Hot Sun Films is pleased to announce that CHARCOAL TRAFFIC has been selected for screening at South Africa 's longest running film festival, the Durban International Film Festival, that will take place from 23 July to 3 August 2008. Visit http://www.cca.ukzn.ac.za/Durban_International_Film_Festival.htm for more information. Charcoal Traffic is an official selection in the Urbis Animax international section of the Canterbury Short Film Festival in Christchurch, New Zealand. Visit http://www.urbis-animax.com for more information. * Raindance International Film Festival, 1-12 October 2008 London, UK. * Short Film Official Competition of the Festival International du Film d'Environnement November 19-25 2008, Paris France.